It's been a busy month at the Villa!  The first full month of this new school year has been filled with academic discovery, exciting enrichment, and fun school activities. Our students and teachers love the Villa campus' many outdoor learning opportunities - especially with this warm weather! 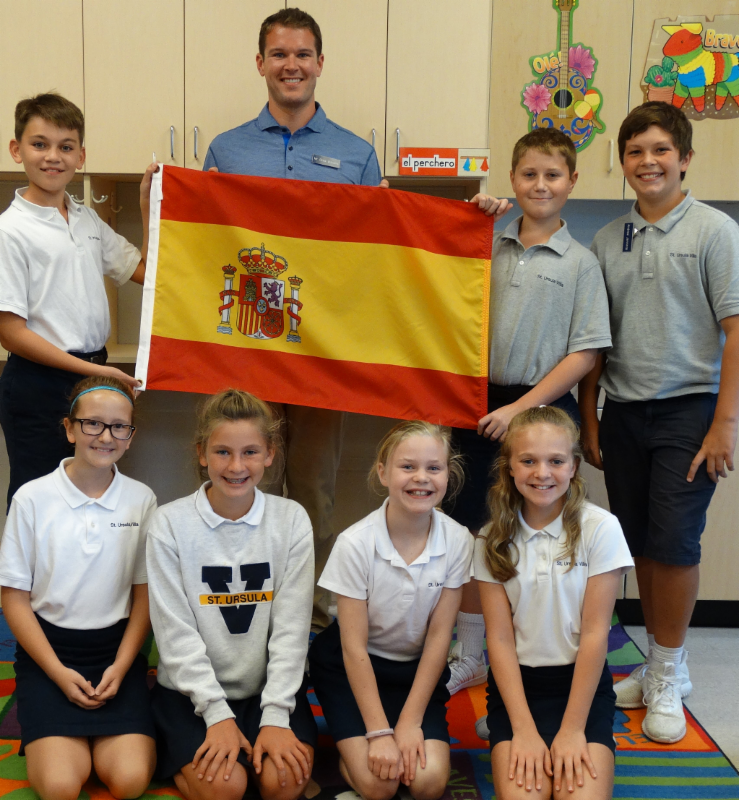 Enjoy this view into September's Villa happenings! 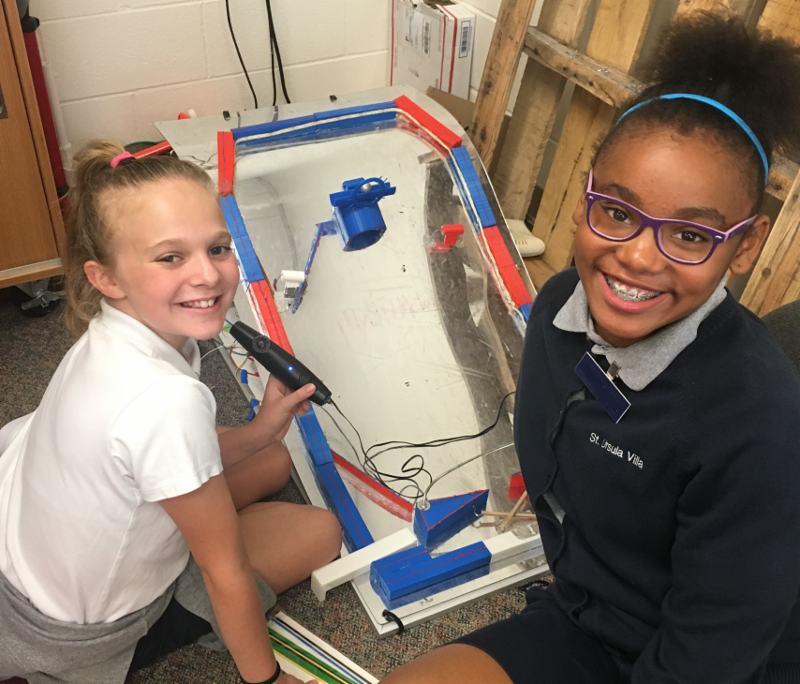 In STEM class 6th grade students made and designed their pinball machine using a 3D Doodler. 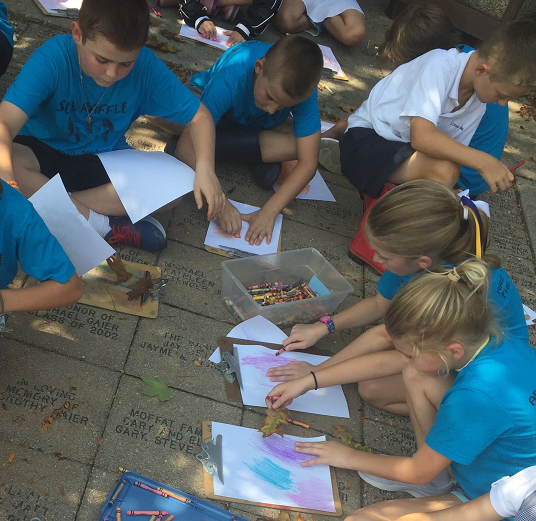 To celebrate the first day of fall, 3rd graders created rubbings to reveal the intricacies of leaf structures in Outdoor Education. 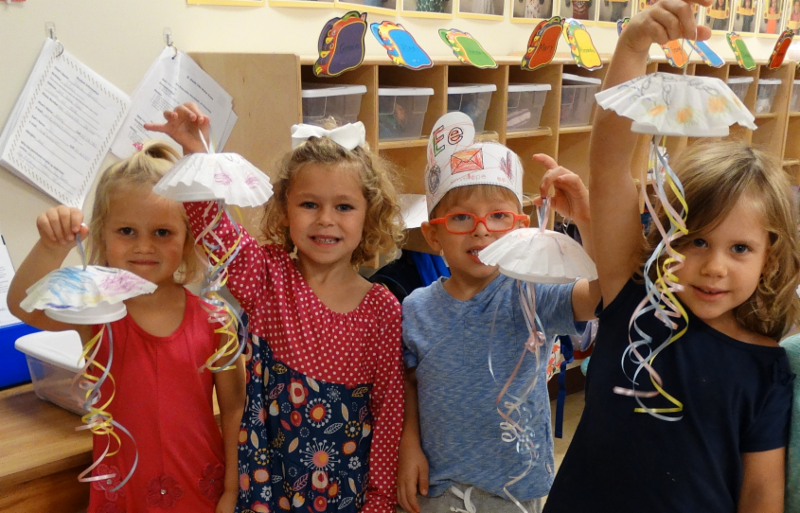 Traditional 4-year-olds studied ocean life, learned about the creatures that call the ocean "home," and created their own jellyfish. 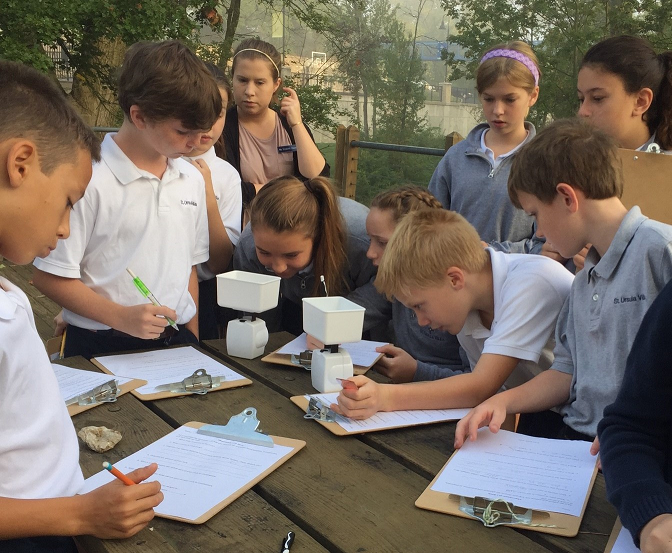 During Outdoor Education class, 5th graders collected rocks on the Nature Trails, measured and gathered data from their hike, and made detailed observations and comparisons. 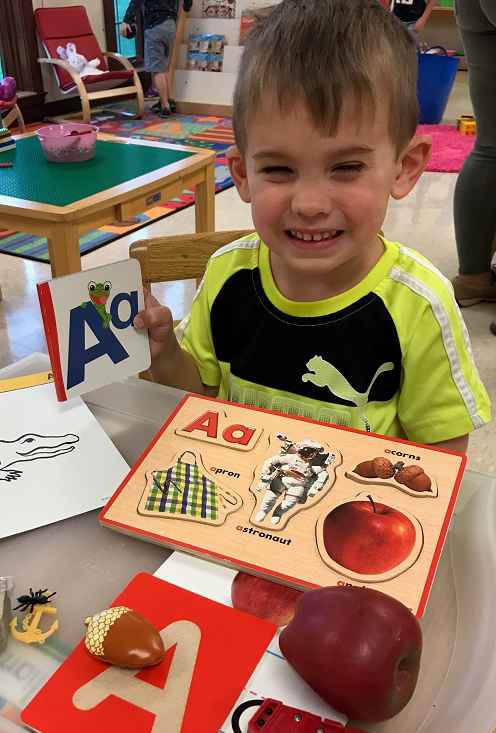 Traditional 3-year-old preschoolers discovered all the things that begin with the letter "A." 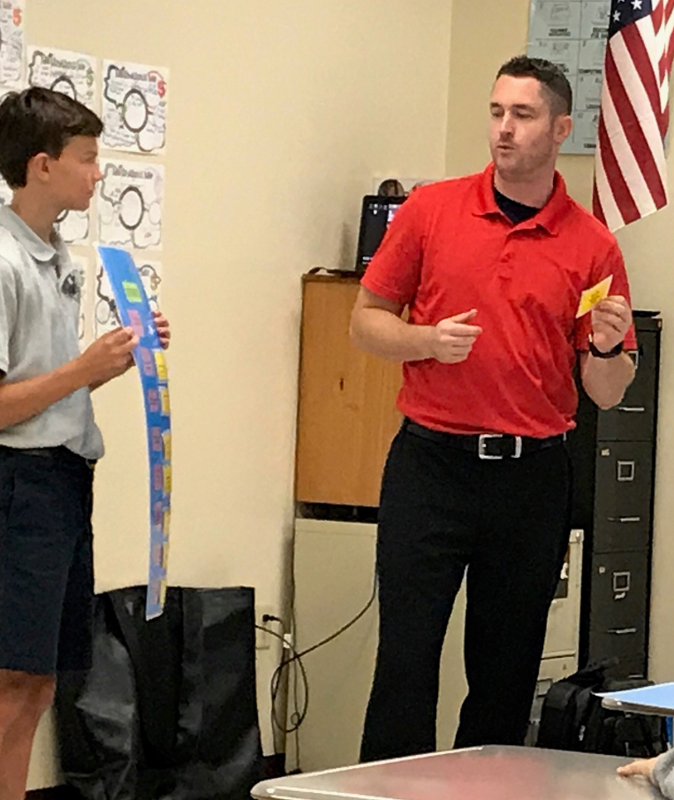 6th, 7th, and 8th graders enjoyed their first Spanish Club meeting and brainstormed possible activities such as cooking classes and Dia de los Muertos (Day of the Dead) celebrations. 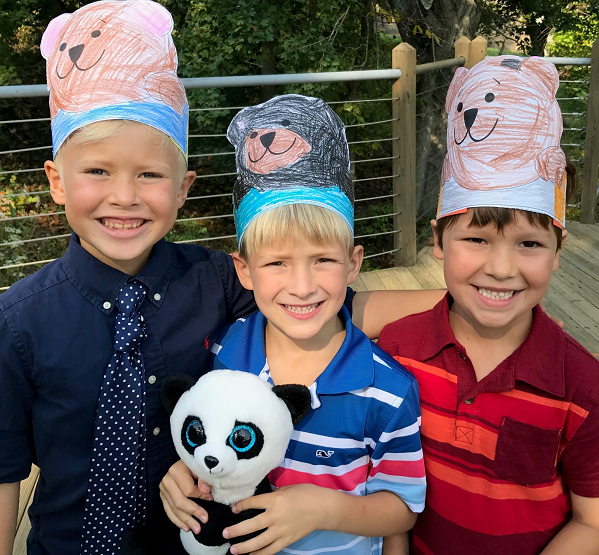 Culminating their unit on bears, 1st graders read Blueberries for Sal, made blueberry muffins, wrote stories about their teddy bears, and followed "bear tracks" to the deck where they enjoyed a teddy bear picnic - a special 1st grade tradition! Pregnancy Center East returned this week to present the "In Control" program to our Junior High students. In Control discusses how to live a chaste lifestyle and handle the pressures of today's society. Villa families donated more than 800 diapers and 90 packs of wipes to Matthew:25 Ministries to help communities struggling to recover from recent hurricanes﻿. 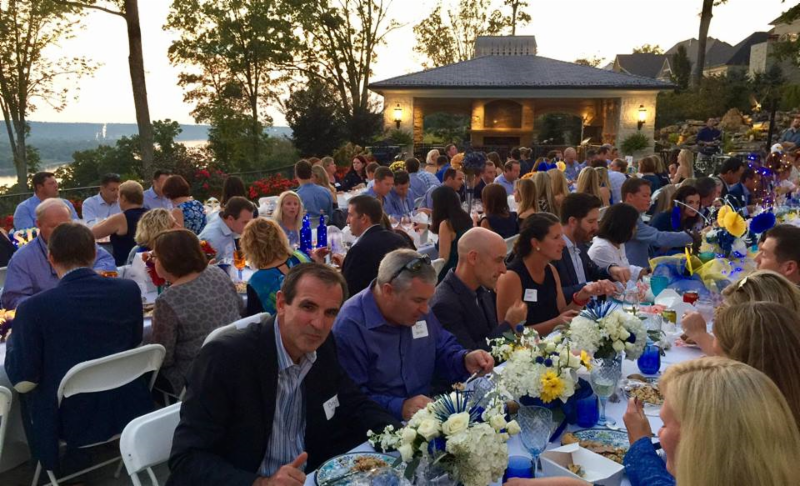 Another successful raffle raised over $46,500 to support the Villa's athletic programs. 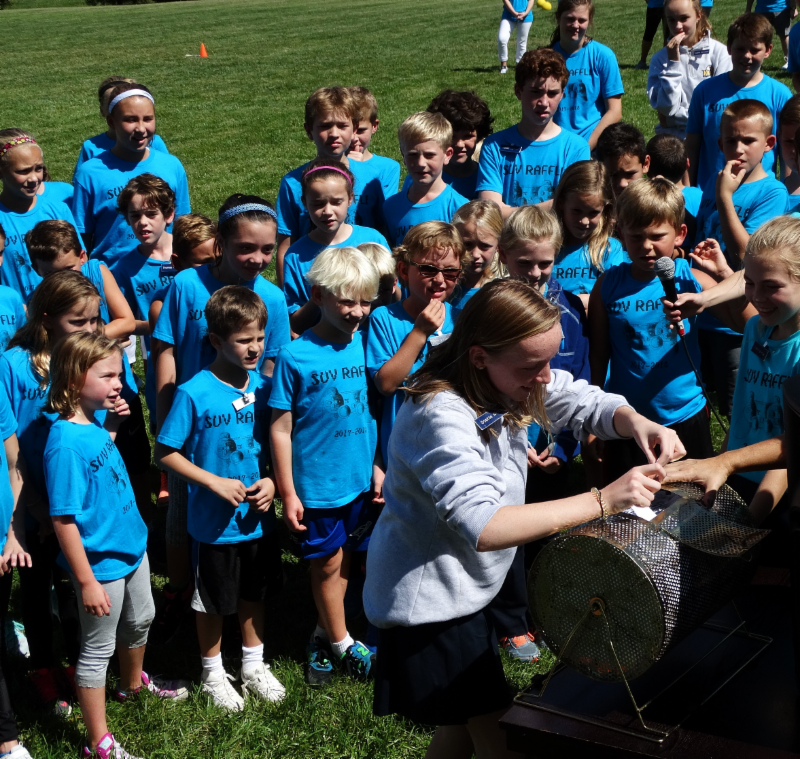 The celebration continued with drawing winning names and playing an exciting faculty/student kickball game. Way to go, Eagles! Le Diner en Villa was an amazing evening in a spectacular setting! 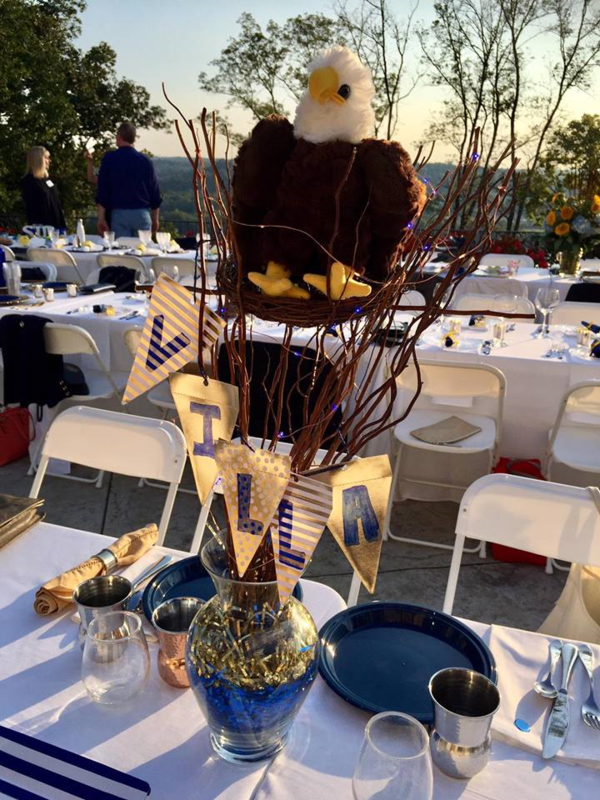 Many thanks to all the Villabration sponsors and hosts, as well as the over 120 attendees, who shared such a special night wearing our Villa blue and displaying creative Villa-themed centerpieces! 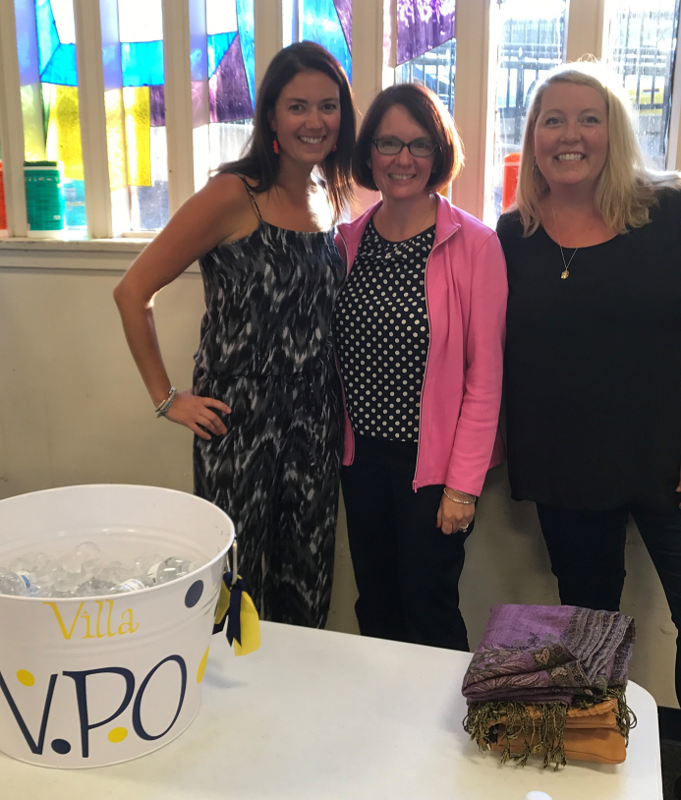 Villa Parents' Organization welcomed parents to a new year by serving refreshments at the school's Parent Nights. 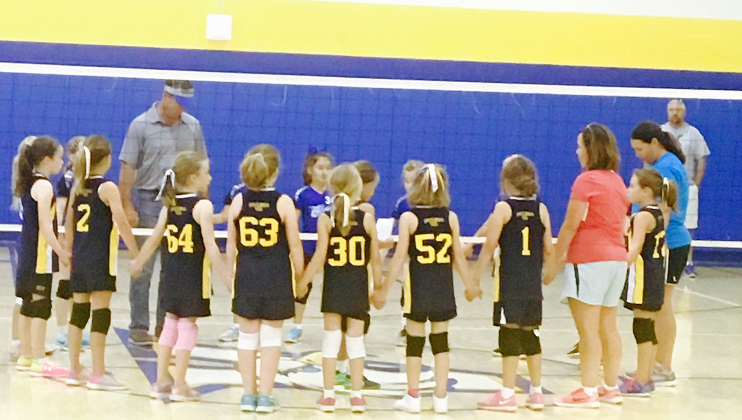 This 3rd grade Villa volleyball team begins their game with prayer as Greater Cincinnati Catholic Youth Sports (GCCYS) girls' volleyball kicks off the new season. 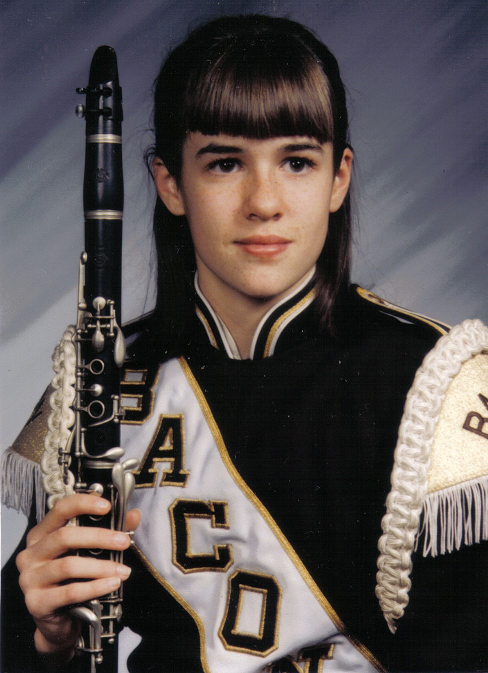 Ms. Cathy Plummer has been teaching 3rd grade at the Villa for 4 years and shares that her love of playing clarinet began when she was in the 3rd grade: "I started in grade school band in 3rd grade and have been playing ever since. I played in high school, college, and around the Tri-State on the Showboat Majestic, at the Covedale Theatre, and at various community events. I LOVED playing in the pit orchestra 2 years ago for the Villa's 8th grade production of Fiddler on the Roof Jr. and enjoyed playing at our recent Opening Mass."